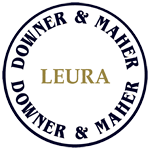 Located in the charming Blue Mountains village of Leura, the Downer & Maher Real Estate name is synonymous with prestigious real estate properties in the upper Blue Mountains. The office is centrally positioned in Leura Mall. With a database of both domestic and international clients spanning in excess of 35 years, we have built a reputation for conducting multiple repeat business. The office has one of the most experienced and professional property management teams, who pride themselves of their low rent arrears and vacancy rates. Their proven management practises provide solutions for all aspects of property management. Our office has the added feature of housing Blue Mountains 4 Seasons Holiday Accommodation offering prestigous properties available for short-term rental. 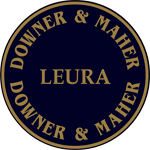 With a reputation for honesty, integrity and transparency in real estate, Downer & Maher Real Estate tailor it’s services to suit each individual need, as every house and every person is different – and so are we!